What is an MBA admissions resume, and how is it different from a regular resume? 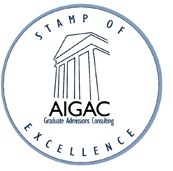 Many b-schools ask for a resume as part of the applicant’s package. Fair enough. It is professional school and they want to see your professional record. But, in fact, MBA admissions resumes do make subtly different demands and it’s crucial to know what these are (see below). However, of course much is also identical in a normal resume and an MBA admissions resume, so you should start by getting your resume as good as it can be as per conventional requirements. There are thousands of guides to this, many free on the Web. I won’t dwell on the principles at length here, but be certain to take note of at least these basic points. Contain evidence, particularly quantitative amounts of budget managed or people supervised, etc. 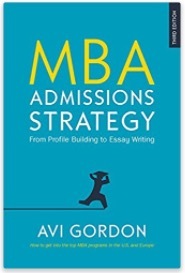 Once you have that, then it’s time to adapt it to the needs of MBA admissions particularly. Good resume builders will always advise you to show as much experience relevant to the job you are applying for as you can. This it true of an MBA admissions resume too, only doubly so, because doing an MBA heavily implies that you will be transitioning to or accelerating quickly along a management path. It applies a leap in career. The mistake that most of my clients make on their first draft is to proudly present their past experiences and achievements, which are very often technical or specific to the field they are leaving. Success is always good, but MBA Adcoms don’t really care whether you cracked a complex software conundrum or isolated a biological compound or develped prefabricated housing units. What they care about is whether you will make a good manager or leader, that is, the management portion that was there (or is implied potential) in what you did. So that is where you should focus: the management, leadership, organizational (teamwork) or innovation implications of your past experience. Don’t say: “Developed molecular compound BN6R in 3 months using ‘BitPro’ software analytics.” Say: “Was part of team that developed unique molecular compound; led presentation to the Board; liaised with company PR in media announcement.” And so on. The other key part of making your resume an MBA admissions resume is to work carefully with the knowledge that, unlike a typical employer, Adcom has various overlapping sources of information about you – not least all your file data. So you want to augment that rather than simply repeating it, in order to get your file data, resume, and essays to elegantly dovetail rather than simply overlap. Obviously, your resume must not leave out the basic resume attributes: dates, places, company names, and so on, even if this is already in your file data. But there are often ways to cut out repeating subsidiary information – names of products or service units and so on – that often just “block up” a resume. This should leave space to go longer on quantitative evidence of (management-oriented) experiences and successes. In fact, I counsel admissions clients to put as much quantitative data in the resume as they realistically can which, in turn, frees up the essays to be a little more personal and reflective. Would it be possible for you to review my MBA admission resume ? Would you say a straightforward chronological resume would be better for this purpose than a skills-oriented one? Also, how do adcoms feel about having summaries of qualifications, keywords, etc., upfront. I’m thinking it may be a bit too salesy and potentially a waste of space, esp. for schools that require one-page only resumes. Got to your blog through Facebook. I will be joining to your feed.